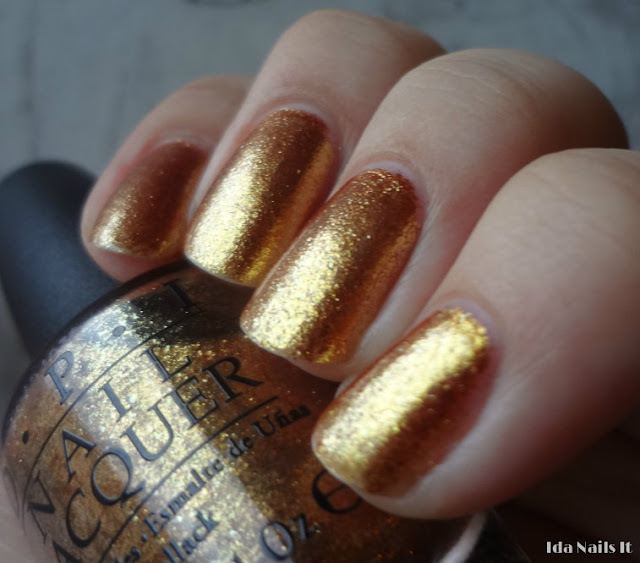 Goldeneye is third polish that I have to share from the newly released OPI James Bond 007 Skyfall collection. It's a very warm gold micro-flake polish, just shy of being brassy. It is sheer, I used 4 coats here to get full coverage. 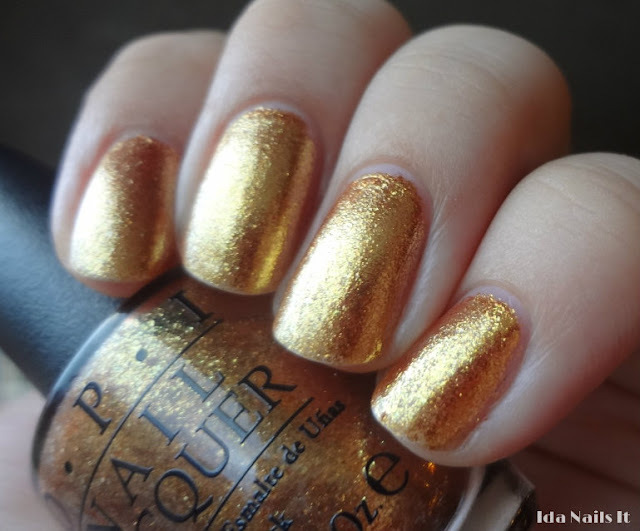 Another beautiful polish from OPI that very much fits into a holiday collection. Goldeneye can be found online at various etailers, and in stores at Ulta, JCP Salons, and wherever else OPI is sold.